Purchase one of our services and schedule the service for the same day as a neighbor getting the same service and receive a 10% discount! 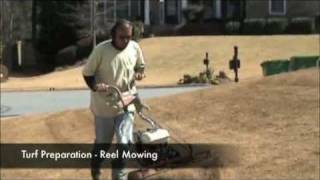 Spring Scalping is the process of scalping the lawn down to remove the dead and dormant parts of the leaf and thin out the thatch layer at the beginning of the growing season. 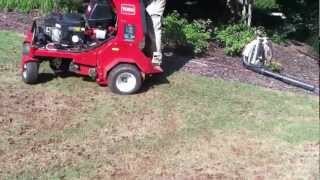 We use state-of-the-art commercial Walker Mowers to scalp your lawn down and bag up clippings and debris from the turf. The clippings are then removed from the site and the lawn is cleaned up. 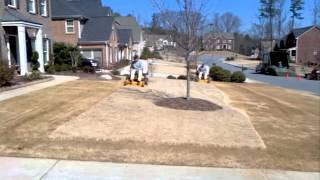 Georgia lawns tend to have clay soils making them very hard and compacted. Our State-of-the-Art Core Aeration service was created to solve this problem allowing reverse compaction and a deeper rooting system for your grass.